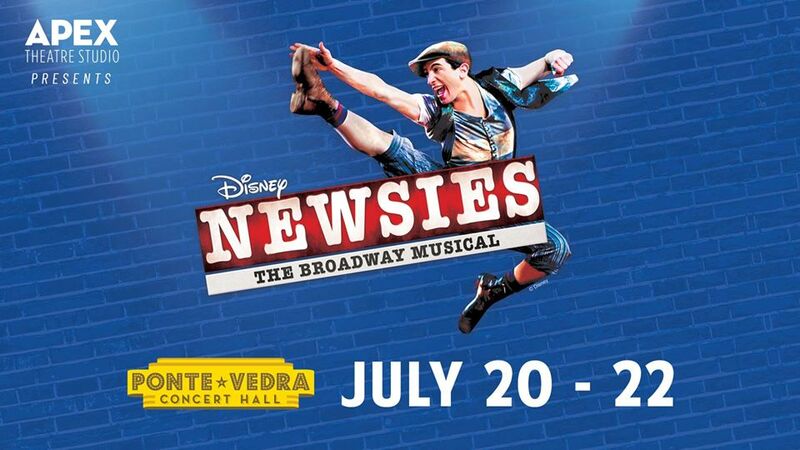 Ponte Vedra Beach, FL — On July 20, 21 and 22, Apex Theatre Studio will present the rousing family-favorite Disney musical “Newsies” live on stage at the Ponte Vedra Concert Hall. Performances will be Friday, July 20 at 8:00 p.m., Saturday, July 21 at 2:00 p.m. and 8:00 p.m. and Sunday, July 22 at 2:00 p.m. Tickets for Apex Theatre Studio presents “Newsies” will go on sale tomorrow, Friday, May 25 at 10 a.m.
Based on the famous Newsboys strike of 1899, “Newsies” follows the lives of a rowdy and lovable pack of newspaper delivery boys who effectively led a protest against publishing magnate, Joseph Pulitzer, to improve the treatment of child laborers at the turn of the century. 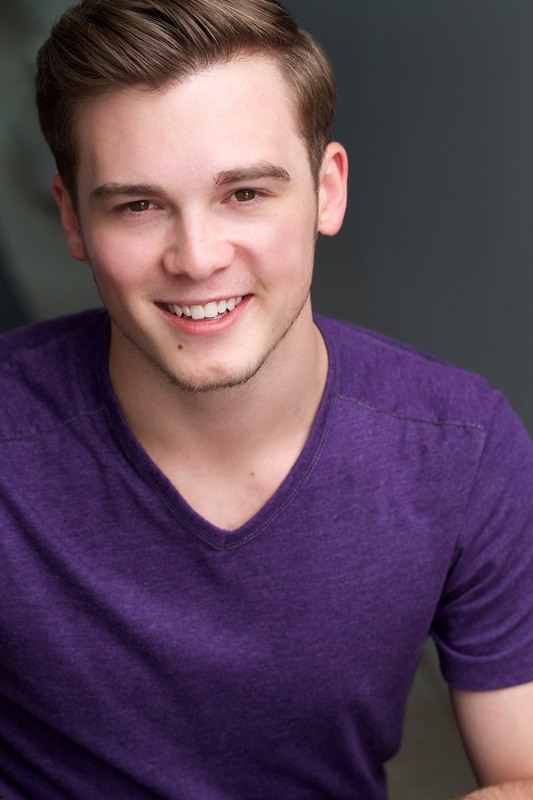 New York-based guest artist, Tony LaLonde, plays the leading role of Jack Kelly. “As we celebrate our fifth season of producing summer theater, we wanted to close with a show that celebrates the power of community,” remarked Ian Mairs, managing director of Apex Theatre Studio. “For musical theatre students, this show has a passionate following,” stated David Loudermilk, the show’s director and choreographer. New York-based guest artist, Tony LaLonde, who plays the leading role of Jack Kelly echoed Loudermilk’s sentiments. 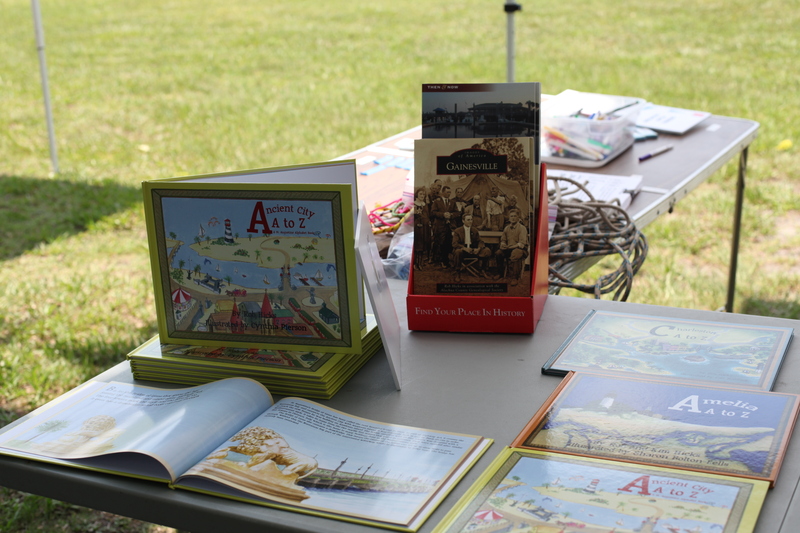 “For me, this was the show that made me realize this is what I wanted to do with my life,” said LaLonde. 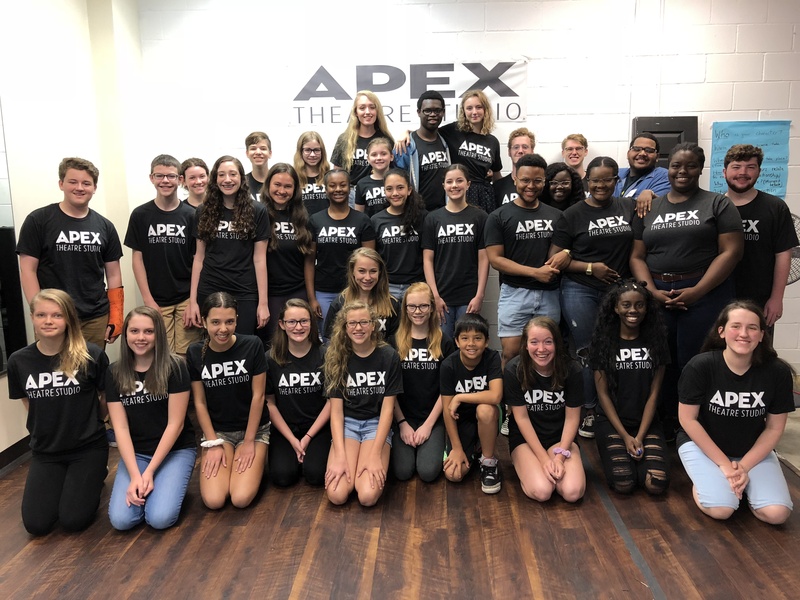 In addition to a company of talented young artists from eight area schools, the show also features performers from the Apex Visiting Young Artists program, a nationally recognized program which allows local students to interact and collaborate with young people from all over the country. This year’s inaugural class features students from the University of Michigan, Point Park University, Northwestern University of Louisiana, West Virginia University, College of Greensboro and University of Florida. Reserved seating tickets for Apex Theatre Studio presents “Newsies” go on sale tomorrow, Friday, May 25 at 10 a.m. and will be available for purchase at the Ponte Vedra Concert Hall and St. Augustine Amphitheatre Box Offices, ticketmaster.com and by phone at 800-745-3000. SHOW TIMES: Friday, July 20 Performance: Doors 7:30 p.m. / Performance 8:00 p.m.; Saturday, July 21 Matinee Performance: Doors: 1:30 p.m. / Performance 2:00 p.m.; Saturday, July 21 Evening Performance: Doors: 7:30 p.m. / Performance 8:00 p.m.; Sunday, July 22 Performance: Doors: 1:30 p.m. / Performance 2:00 p.m. The cast of Newsies, staged by Apex Studio Theatre, July 20-22 in Ponte Vedra Concert Hall.